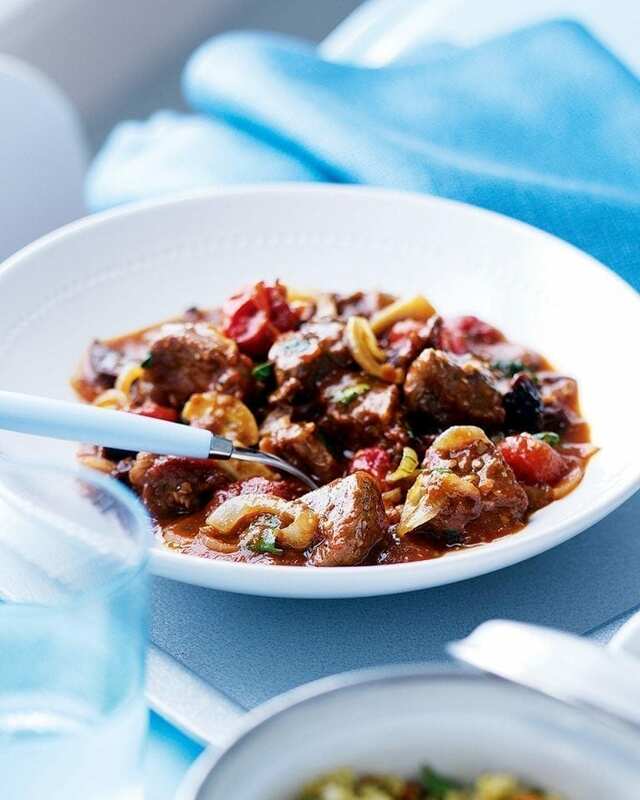 This easy Moroccan lamb tagine is a great recipe for using up storecupboard spices – cumin, ginger, coriander and cinnamon. It’s low in calories too. Brown 400g lamb leg steaks, cubed, in 2 tbsp olive oil in a pan. Set aside. Add 1 onion, sliced, and 2 garlic cloves, chopped, to the pan and fry for 5 minutes. Add 2 tsp each ground coriander and cumin, 1 tsp ground ginger and a pinch of cinnamon, and fry for 2 minutes. Add the lamb and a 400g can chopped tomatoes and 200ml chicken stock. Add 100g pitted prunes, chopped. Simmer for 40-45 minutes. Stir in 1 tbsp ground almonds and a handful chopped fresh coriander. Serve with herby couscous.